It’s an innocent question on the surface, one Priscilla Wadsworth has heard many times as an aspiring artist. 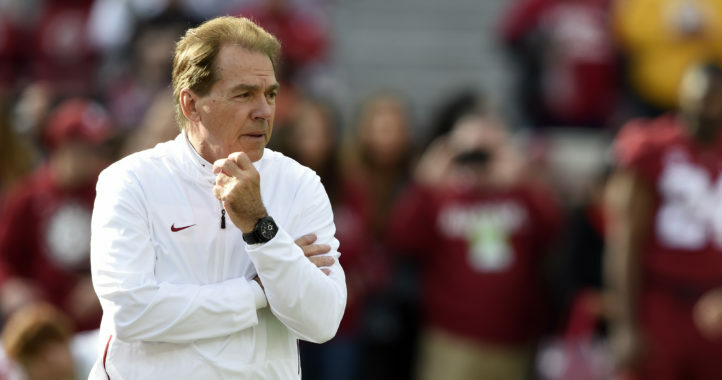 But coming from Nick Saban, a renowned master at his own craft, it’s an inquiry she keeps close to her canvas. 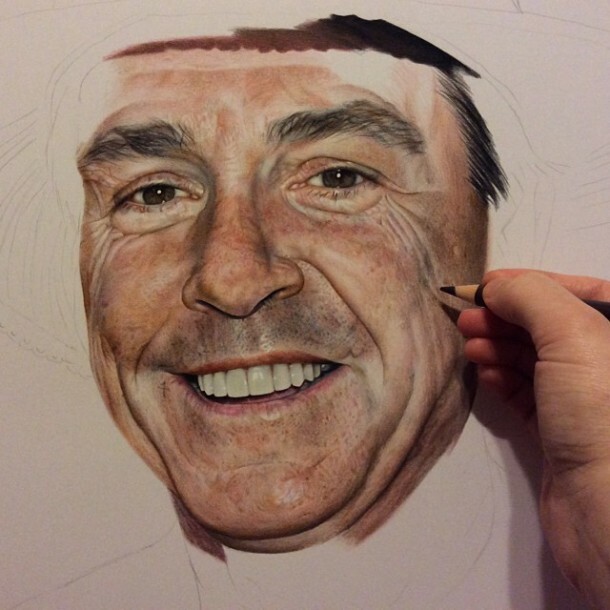 Wadsworth’s latest work, a 19-by-24 inch full-color headshot of Saban, isn’t yet finished but is already approaching the 100-hour mark. She estimates most of her pieces, completed with precision, land in the 100- to 200-hour range depending on the size. Recreating photo-realistic drawings using colored pencils is challenging enough, but try doing so for an audience of crazed Crimson Tide fans ready to nitpick the slightest potential differences from real world to art. There’s not a hair out of place within Wadsworth’s work. 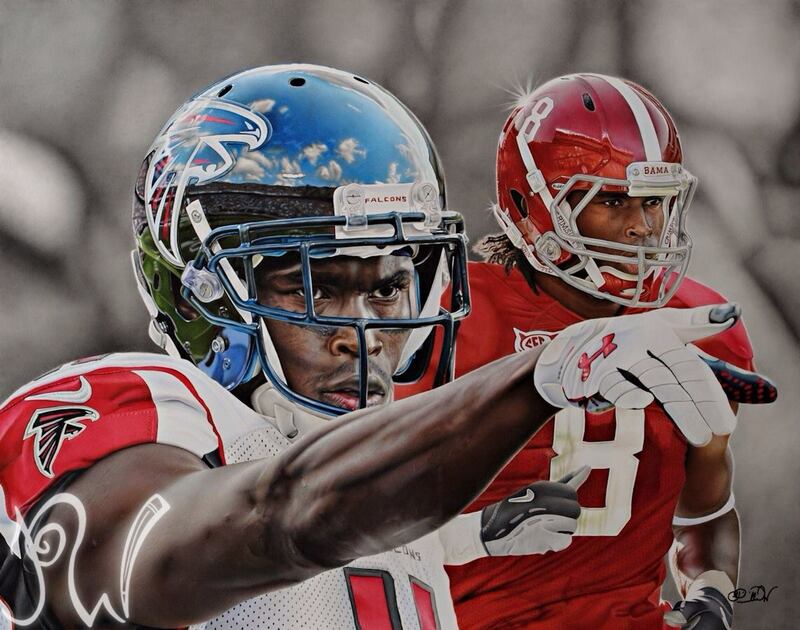 The Birmingham native has commissioned pieces for Eddie Lacy, C.J. Mosley and the McCarron family, she says. Her favorite is a delicate drawing of Mal Moore, a former Alabama quarterback and longtime Crimson Tide assistant coach before his tenure as the university’s athletic director from 1999-2013. Seen by hundreds daily and many more on gamedays, Wadsworth’s portrait of the Alabama Sports Hall of Famer hangs inside the Paul ‘Bear’ Bryant Museum in Tuscaloosa. What began as a hobby for Wadsworth at 16, turned into something far more meaningful a few years later. As a music performance major at Alabama in 2008, she ditched melodies for black graphite and colored pencils. “Back then, I would only turn out 1 or 2 drawings a year due to the fact that I was focused on becoming a professional flutist,” Wadsworth said. “In the summer of 2012, I decided that I wanted to focus on art instead of music, so I started practicing drawing a lot more, and I’d do some small commissioned drawings here and there. Wadsworth owns and operates Priscilla Wadsworth Pencil Drawings out of her home. When she isn’t putting the finishing touches on her latest piece, Wadsworth’s a diehard Alabama fan. She says her best football memory was being in attendance for the Crimson Tide’s win over LSU in 2013. I’m a big art fan and always loved Daniel Moore’s work. That said, this is literally unbelievable talent. You really have to be an artist of sorts to really understand the time, patience, eye, and skill to do realism that realistic, especially using a colored pencil format. Wow, RTR! !